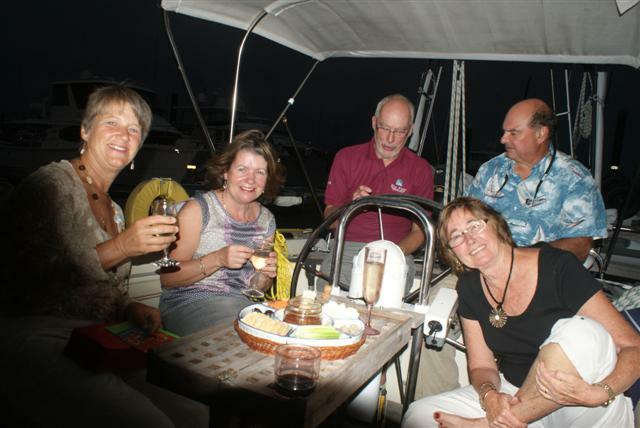 We sailed overnight from South Percy Island to Mackay arriving on Wednesday 1st May. Our friends Jackie and Gary on Inspiration Lady did the same. 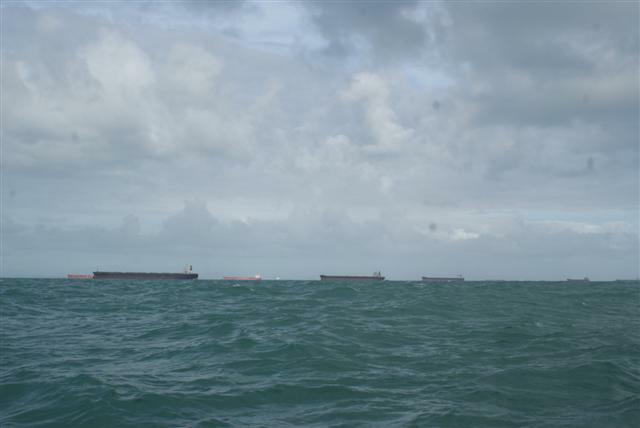 We arrived off of Mackay in the early morning to find lots of ships anchored in the approach. 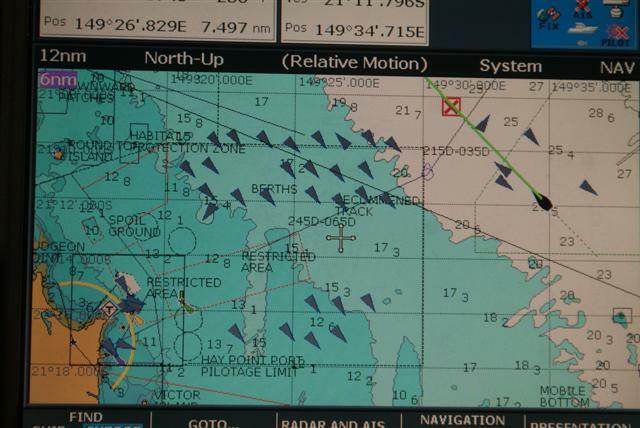 This is what the chartplotter looked like. Each of the grey arrows represents a ship and Camomile is the black arrow in the top right hand side of the photo. Mackay is a big coal mining area and we assumed these ships were waiting to be loaded. 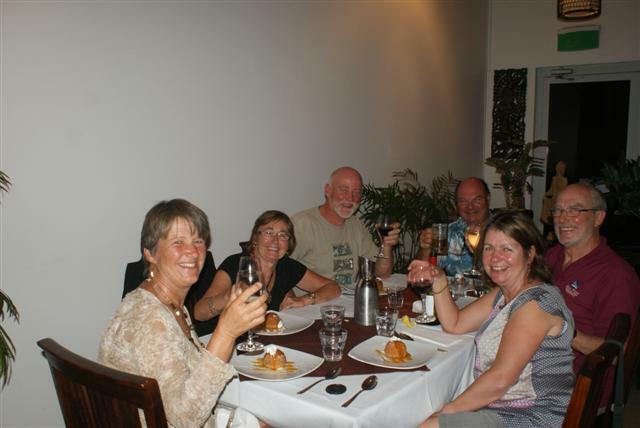 Our main reason for coming to Mackay was to meet up with our cruising friends Norman and Sara on Norsa. They have been in the UK working for 7 months but they were now back in Australia and we plan to cruise together up the Australian coast. It was great to arrive in the marina and see them standing there waiting for us. The next day was my birthday and I started the day with coffee in the hotel alongside the marina. I’ve been really good recently about eating cakes and other fattening things but as it was my birthday Bill bought me 2 little cakes with my morning coffee as a treat – mmmmm. That evening Norman and Sara and Gary and Jackie joined us on Camomile for a celebration drink, then we all went to the Thai restaurant on the marina boardwalk for a delicious meal – another lovely treat. 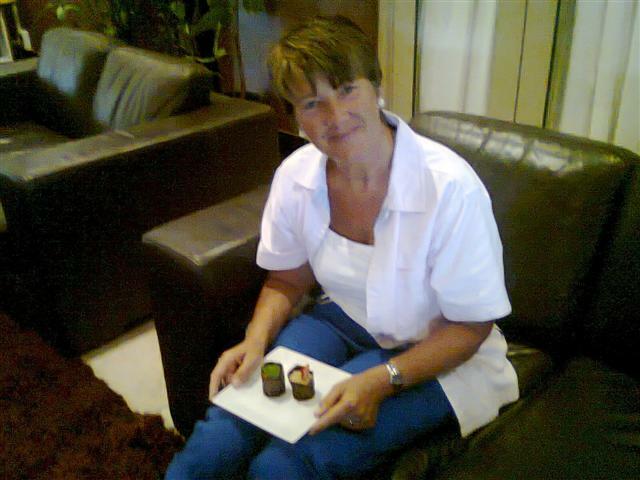 Posted on May 2, 2013, in Port posts, Sailing, sailing adventure and tagged Mackay. Bookmark the permalink. Leave a comment.